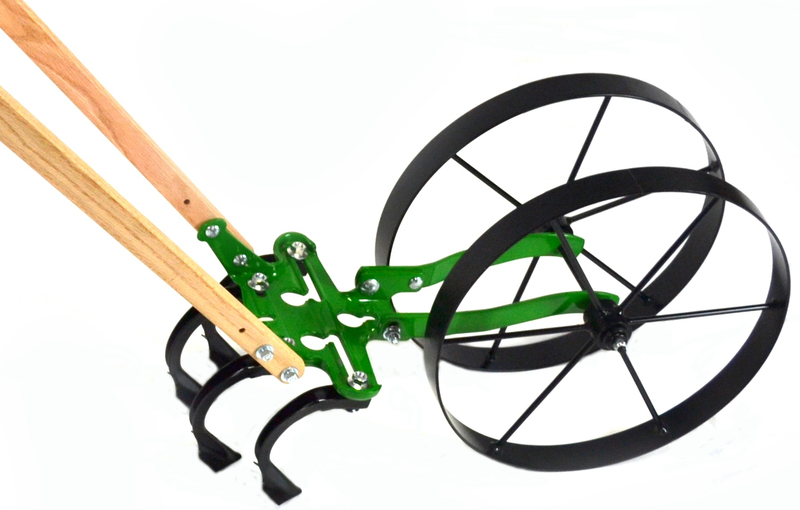 The Hoss Wheel Hoe is a push cultivator that provides remarkable versatility for preparing and maintaining your vegetable garden. Because the tool bar on our Wheel Hoe has multiple attachment holes and slots, there are endless possibilities for configurations of our Wheel Hoe attachments. Regardless of your garden design and row spacing, you can configure a setup on the Wheel Hoe that will work for you. And because all attachments are easily interchangeable with only a 9/16″ wrench required, changing setups with our push cultivator is a breeze! 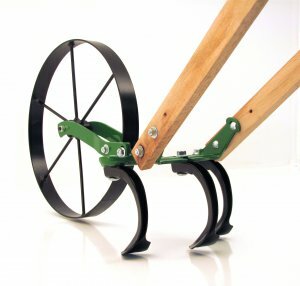 The Hoss Single Wheel Hoe and Double Wheel Hoe include a set of 3 cultivator teeth and 4 cultivator teeth, respectively. These push cultivator teeth can be arranged in many different locations on the Wheel Hoe tool bar. You can use the standard configurations seen in our product photos, or you can customize a configuration to work for your specific crop spacing. Recently we planted several rows of Asian greens in our high-tunnel growing house. And while the greens were growing well, so were the weeds. We needed a way to weed these Asian greens that were planted on a very close row spacing. Our Spreader Bar Extension opens the door for even more possibilities for Wheel Hoe weeding and cultivating configurations. The Spreader Bar Extension allows you to extend the length of the Wheel Hoe tool bar on either side for more attachment locations for our push cultivator implements. And while the options are endless, some great ideas include adding more cultivator teeth for a wider cultivating/weeding path, extending the bedding width of the Plow Set attachment, or offsetting the weeding path of attachments such as our Oscillating Hoes or Sweeps.